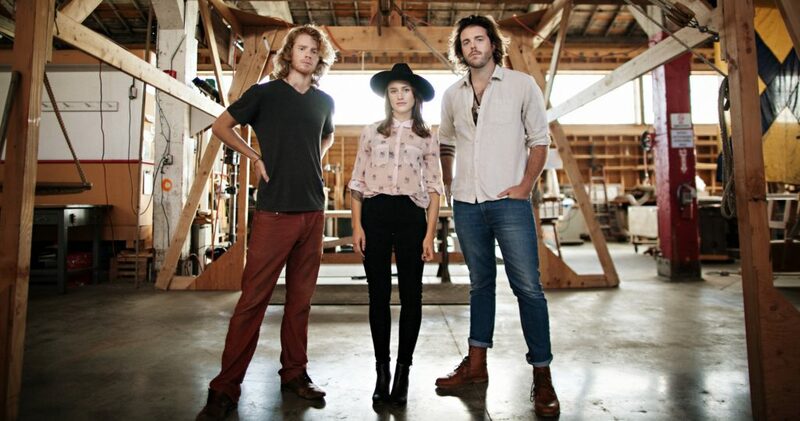 The captivating performances of the Boston based neo-folk trio, The Ballroom Thieves, are not ones to miss. This local band is beginning to gain new wings as they are returning from a 10-month national tour after signing to label Nettwerk in late 2017. The trio is comprised of three Boston musicians that each play an immense part in The Thieves sound. Callie Peters bows a cello almost her on size or rocks the bass, Devin Mauch on his own make-shift percussion and Martin Earley, resembling a character from game of thrones plucks the acoustic guitar. All three of members are on vocals and produce melodic harmonies in every song. The sacrifice though, has now payed off. Since 2015 the band their success has brought them performances at big events such as Newport Folk Fest and Boston Calling. Their most recent release, Coversis an authentic three song love letter to Frightened Rabbit, Joe Pug and Bahamas. The release was a passion project that came about during the bands down time. Their last EP, Paper Crown, which was released in May 2018, was a passionate and emotional record that gained the spotlight. The EP ranges from foot tapping tunes, such as ‘Can’t Cheat Death’ to the emotional track, ‘Only Lonely’, which has over 14 million listens on Spotify. When seeing The Thieves live, the band’s high energy on stage is easily shifted into the audience. Their performance can be described as resonant, there are so many layers to The Thieves music, it is captivating to see it all play out live. The Ballroom Thieves are one of Boston’s musical gems, and if you missed their most recent tour, there will be more shows in the spring.